A multi-million pound project to increase the availability of affordable homes in Coalpit Heath has been officially opened. 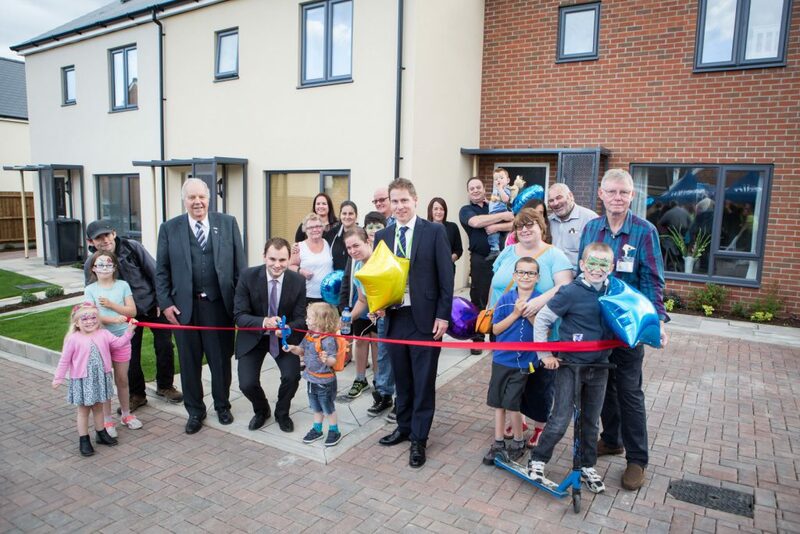 Over the past year Merlin, the not for profit housing association, has replaced 18 aging and unecological properties and a rank of garages in Coalpit Heath with 39 modern, affordable homes. Customers moved into their new homes last month and last week were invited to a party to officially open the £5.2m development. The new homes are some of 130 properties the housing association is aiming to develop this year. By 2019 Merlin’s goal is to be building 300 homes every year. Merlin’s Development Manager Noreen Twomey said: “These are the first affordable homes that have been built in the villages for many years, which helps local people who may have been priced out of finding a home of their own in the village. The new homes are a mix of one and two bedroom flats, two and three bedroom homes and a two bedroom bungalow, specially designed for a wheelchair user. Part of the funding for the homes came from the Homes and Communities Agency, which awarded Merlin £2.4m under its Affordable Homes Programme. With these homes now completed, Merlin is now planning to start work on further redevelopment of properties on several other sites in the village and in neighbouring Iron Acton. A total of 44 properties will be demolished and 72 new, affordable homes built in their place. Work is due to begin later this year.